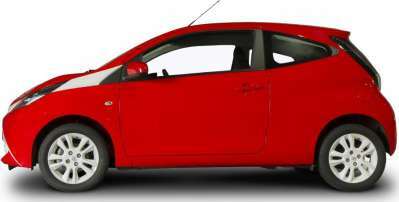 Compare brand new Toyota Aygo Hatchback (2014) lease deals! All Aygo Hatchback (2014) deals include delivery, road tax and a full manufacturer’s warranty. We collect the best Toyota leasing pricing from across the industry, saving you time and money. Select a trim below to get started. Which Toyota Aygo Hatchback (2014) Trim Should I Choose? Here you can view the pricing history for the Toyota Aygo Hatchback (2014) on LeaseFetcher. How often should I get the Aygo Hatchback (2014) serviced? How long is the warranty on the Aygo Hatchback (2014)? What is the fastest Aygo Hatchback (2014) option? The Aygo Hatchback (2014) 1.0 VVT-i X-Play 5dr is the fastest trim. It will go from 0-62mph in just 14.2ss and has a top speed of 99mph. What is the most fuel efficient Aygo Hatchback (2014) option? The Aygo Hatchback (2014) 1.0 VVT-i X-Play 5dr is the most fuel efficient trim. In urban environments, it will achieve 56.5mpg and on the highway it will achieve 78.5mpg . Its combined fuel efficiency is 68.9mpg. What is the most eco-friendly Aygo Hatchback (2014) option? The Aygo Hatchback (2014) 1.0 VVT-i X-Play 5dr is the most eco-friendly. It emits just 95g/km of CO2. 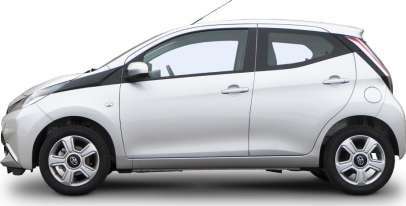 What is the cheapest Aygo Hatchback (2014) option? The Aygo Hatchback (2014) is the cheapest to lease. It costs just £144.96 per month with an initial payment of £1,304.64. That's for a 4 year deal with 8,000 miles.